Modern customer expectations are always evolving. Selecting a contact centre platform that’s built to accommodate those changes gives your business an edge over your competition. A modern, adaptable customer experience platform transforms the customer journey and ensures a consistent experience along every step. Integrate channels, examine context and elevate your workforce with streamlined processes and unified communications. Choose a contact centre platform that’s designed for the future to ensure success—regardless of changes in technology or customer demands. Trust is paramount when you choose a customer engagement platform. To get the most from your investment, look for a platform that has stability and transparency built in. Proven stability—Modern technologies like microservices-based architectures and continual updates ensure that your system is always up and running. A tested platform—with a history of success and adaptability—gives your business the reliability you want and need. Trusted transparency—Using a customer engagement platform that alerts you when issues occur and provides you with the tools to solve them quickly, puts you in control. And you’ll be able to solve problems before they affect customers. Omnichannel service is no longer optional—customers and employees demand it. Today’s contact centres bear little resemblance to the voice-only call centre of a decade ago. The average contact centre uses multiple communication channels to engage with customers. A single platform improves omnichannel capabilities and customer experience. A fully integrated, all-in-one customer experience platform eliminates the silos found in legacy, voice-centric ACD and PBX systems that are patched with modern communication channels. Modern platforms properly route customers to the best agents. And agents have full visibility into prior customer interactions, enabling them to address issues quickly and make customers feel valued. Optimising the customer experience is tricky; it often depends on a variety of systems for different processes. Integrating those systems should be simple—whether that means having caller ID pull customer information from your CRM system or sharing internal and external data across all communications. Seamless integration in your contact centre platform provides a connected, powerful customer experience ecosystem. The cloud further simplifies this integration. And the best cloud contact centre platforms are built on an open architecture with well-documented REST APIs. So integrations are quick and painless. Perhaps a large portion of your system still works for you. Maybe you have functionality that can’t be migrated easily to a new system. Whatever your reason, choosing a platform that allows migration on flexible terms lets you modernise where and when you need it, while maintaining legacy tools that work. As a small business owner, you know that things move at an accelerated pace. With so much to manage, it’s hard to imagine that something won’t fall through the cracks. A customer engagement platform that integrates your CRM system with the contact centre ensures that your customer experience won’t suffer. Keep employees engaged and customers happy—even as your business grows and changes. A single, unified customer engagement platform brings together all your channels. 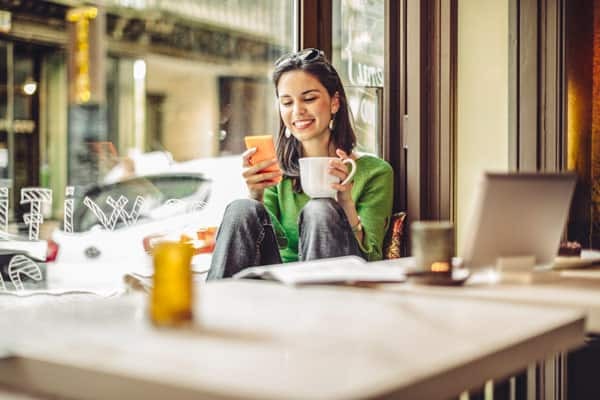 Employees can seamlessly connect with customers over chat, phone, email and social media. Give customers and prospects multiple ways to contact you and keep track of all interactions to ensure you maintain context. Bring your entire team together with a single platform. An all-in-one contact centre platform bridges the gaps between customer service agents and back-office experts. And open lines of communication give agents the tools they need to create best-in-class customer experiences—every time. Modern customer engagement platforms take significantly less time to set up than their predecessors do. With an intuitive interface and straightforward deployment, your new platform can be functional in days, not months. Choosing a cloud-based customer engagement platform eliminates the need for complex configuration and deployment. Plus, you won’t need to keep an entire team of network engineers on staff to alter the system when business spikes. The cloud gives you unlimited scalability, so you can focus on providing your customers with the best experience. Contact centre applications historically have been monolithic in nature. This means that when one component fails, it has a devastating effect on the entire system. And that leads to service outages for customers—and lost revenue for you. A system built with a microservices architecture eliminates those risks. Each microservice operates independently, breaking complex tasks down into pools of simple, stateless applications. A single failure in a microservices architecture won’t set off a domino effect of other failures. Additionally, because microservices aren’t tightly coupled, they can be changed, as needed, without impacting other processes. Personalised customer experiences are a baseline expectation. Leverage tools designed for modern demands to mitigate delays and ensure that customers remain happy. When customers contact you, the experience should be simple and seamless. They shouldn’t have to re-enter their account number multiple times or rehash their issue with multiple agents. CRM system integrations with your contact centre makes this possible.